With the rising costs of higher education, this is the perfect pathway for high school students wishing to ultimately obtaining a bachelor’s degree. Make Penn Highlands a part of your future education with the Penn Highlands Academy. High school students will be able to take dual enrollment/ACE courses at discounted rates at their high school and use them toward the completion of an associate degree at Penn Highlands after high school graduation. The Academy follows a 3+1 approach, enabling students to complete their associate degree in one year following graduation. After earning their associate degree, Academy graduates will be ready for the workforce or transfer to earn a bachelor’s degree. Penn Highlands has many transfer agreements with colleges and universities near and far. These agreements allow graduates the ability to transfer seamlessly into the four-year program of their choosing. Academic advisors will help guide students through course selection, career exploration, and major selection. 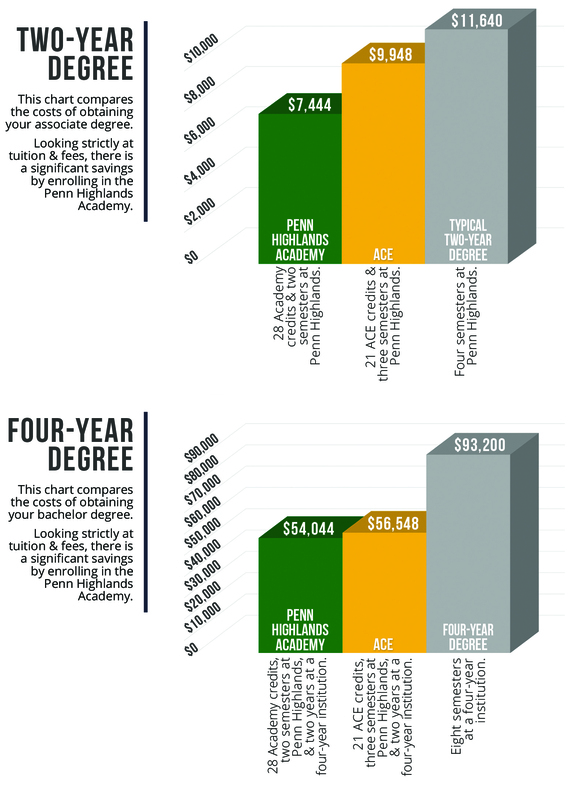 NOTE: Penn Highlands Academy is best suited for high schools that offer 28 or more dual enrollment credits. Penn Highlands cannot guarantee transferability of all credits. Students must verify details with the receiving college, which will make the final decision about transferability. Students must submit their application and high school transcript to the Office of School Partnerships. 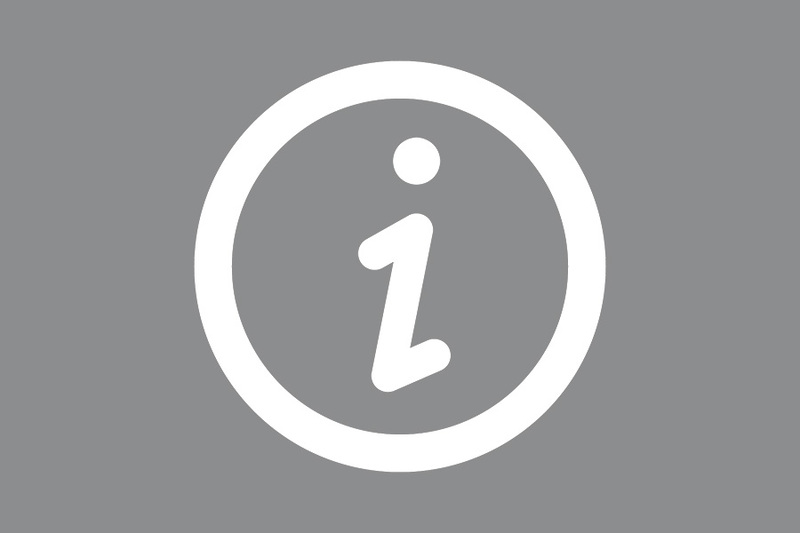 As the time to complete the degree will be determined by when the student begins, it is suggested that students apply to begin courses during their freshman year. Students must be enrolled in their freshman, sophomore, junior, or senior years. Students must have an overall GPA of 2.5 or higher in order to participate. Students must be approved by their high school administration in order to participate in the Penn Highlands Academy pathway. Applications for students who do not meet the above requirements will be reviewed on a case-by-case basis by our Admissions Office. Students must also meet all course prerequisites such as coursework and/or placement requirements. Finally, students must earn a C grade or higher in courses in order for those courses to be eligible for transfer. Students may take a maximum of 28 credits while in high school. The remaining 34 or more credits must be taken at a Penn Highlands facility and/or in Penn Highlands’ online format following high school graduation. 28 credits of dual enrollment/ACE courses cost roughly $1,624 (based upon 2017-18 tuition rates). Additional textbooks or supplies are not typically required for these courses. Based upon 2017-18 tuition rates, the flat rate for tuition and fees for Penn Highlands’ full-time, Cambria County resident students is $2,895 per semester. For students residing outside of the county, flat-rate tuition and fees for full-time students is $3,975 per semester. The estimated average cost of textbooks for students enrolled at full-time status is $750 per semester. The benefit of the Penn Highlands Academy is that students can apply for financial aid (FAFSA.gov) following high school graduation and may be qualified to use federal and state funding programs to help cover the cost of completing the associate degree at Penn Highlands. This includes federal Pell grants, state grants, and the Stafford Student Loan program. Students must be a high school graduate in order to be eligible for these financial aid programs. Interested in High School Pathways? We can send you more information and have a College representative reach out.